Stampendous and DecoArt - Meant To Bee Together! 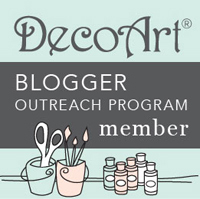 Hello and welcome to our new Stampendous and DecoArt blog hop! This is not the first time these two fabulous companies play together and it certainly will not be the last time. They share this special bond and (media) mix together perfectly. They have Attitude and they are perfect for altering every-day items! :-) Yes, they are meant to Bee together... but more on that in a moment...! 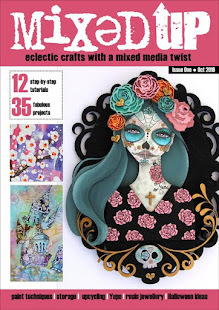 And since we are having a blog hop, we are going to treat you to droolingly gorgeous inspiration from both teams as well as SUPER AWESOME PRIZES!!! Now, onto my inspiration project. 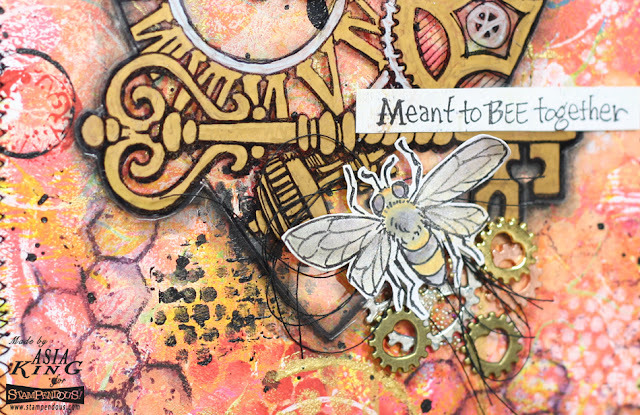 This is a card I made with one of my totally mixed media-licious backgrounds I shared a while ago on Instagram. I spent an afternoon playing with my Creative Palettes and layering paints onto scraps and Mixed Media Papers. I did some stenciling with sequin waste and bubble wraps as well as lots of stamping with bottle caps and building blocks. Whatever was to hand! 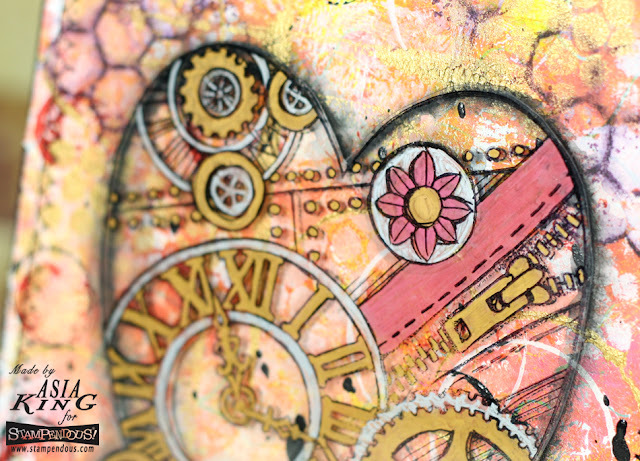 In addition to regular white, gold and black acrylic paints I also used DecoArt Americana Acrylics in: Bright Yellow, Yellow Light, Pink Chiffon, Carousel Pink, Cadmium Orange and Country Red. For my focal image I used Stampendous cling Time for Love which I stamped with Jet Black StazOn ink onto acetate and I coloured the image on the reverse side with Papermania metallic pens. I cut out the heart and mounted it onto the card with DODZ-3D so it would look as if it's floating above the detailed background, without getting lost within in. And you can still see the background layers between the cogs and rivets of the image :). I also added some more stamping with the Honeycomb Wishes Perfectly Clear Stamps Set and I threw in a few cute little heart cogs for good measure. Don't forget to leave some love on the participating blogs to be in with a change of winning one of those amazing prize bundles! Thank you for stopping by today and for all your lovely comments. Good luck everyone! Asia, this is a beautiful creation! Love everything about it! Beautiful card. Love how you created the background. This is absolutely stunning! The background is totally awesome! And that stamp ... I had to put it on my wish list. WOW! This is awesome! 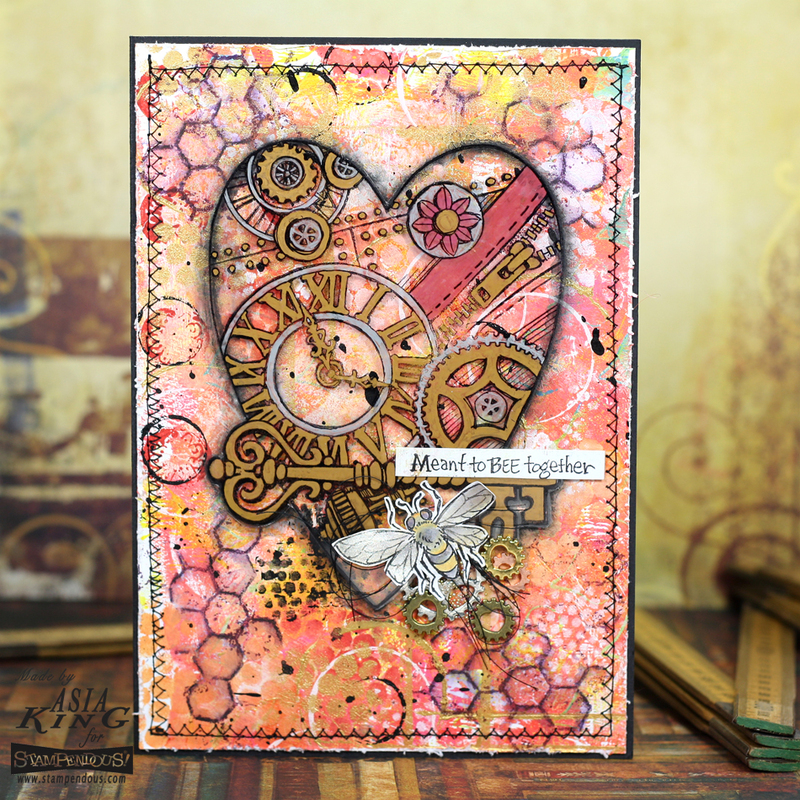 I love the Time for Love stamp and your background piece is divine!!! Great colors and textures! TFS! 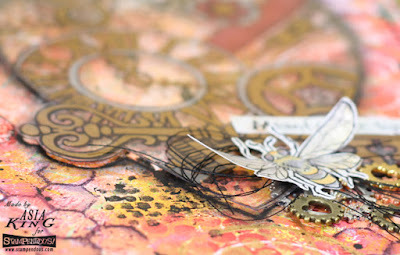 Love this mixed media project ! I love all of the colors and layers here. And- I really should stop saying that I have enough stamps- because I NEED that one. Thank you for posting your tutorial, its lovely. I'm an instagram girl, so I'll have to check that out! OH WOW!!!! Awesome background and fantastic card!!!! Love that the heart is floating. It really pops off the card. Beautiful and love the colors! So pretty! Love the background and all of the details! Oh.. this is so pretty. The colors are great and i love that background and stamp. Amazing job. I LOVE BEES! This is just my type!!! Beautiful piece...colors and textures are great. The stitching really adds so much to this piece of art. Love this! The colors are fantastic!! So many great details in this piece. Soft soothing colors. What an amazing piece of art work this is!! It's beautiful! Asia, This is gorgeous!! Love your palette and the addition of the stitching...perfect! Wow, that is awesome! You are so creative. This is so cheerful and fun! I love the color combination and all the terrific details! Asis, This is my first time to your blog, and I LOVE it. I LOVE your style. Also I think your name is so cool. Anyways, back to your card, WOW is what I have to say.. AMAZING, I hate to keep saying I love everything but I DO, this card is so cool and so my style. Whoever gets this in the mail will be blown away. Thank you for sharing this beautiful card. Tracey Magner. This is so pretty! I love the heart. Your card is phenomenal. I have ZERO talent,skills whatsoever when it comes to mixed media. But, it's so awesome following one that does. Wow, beautiful project! Love the background and the great use of the acetate! Such a great idea! Thank you for sharing! Really cool techniques, thanks for sharing these ideas! This is stunning!!! 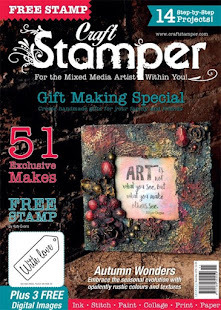 I totally love all the yummy layering and gorgeous mix of colors and stamps with textural techniques!!! 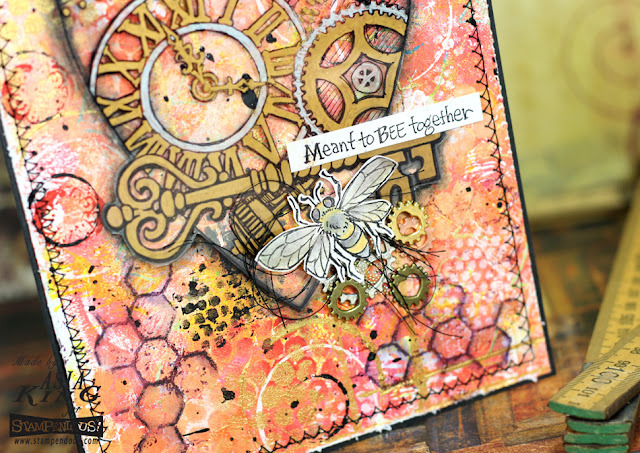 I absolutely LOVE this project using all the new paints and stamps! 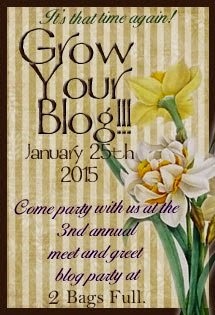 This is my favorite one on the blog hop! Thank you for sharing this amazing project! That is fantastic art work! I love everything about this project. Thanks for sharing your technique! What beautiful art. Love the colors.